Sorry for double posting today! 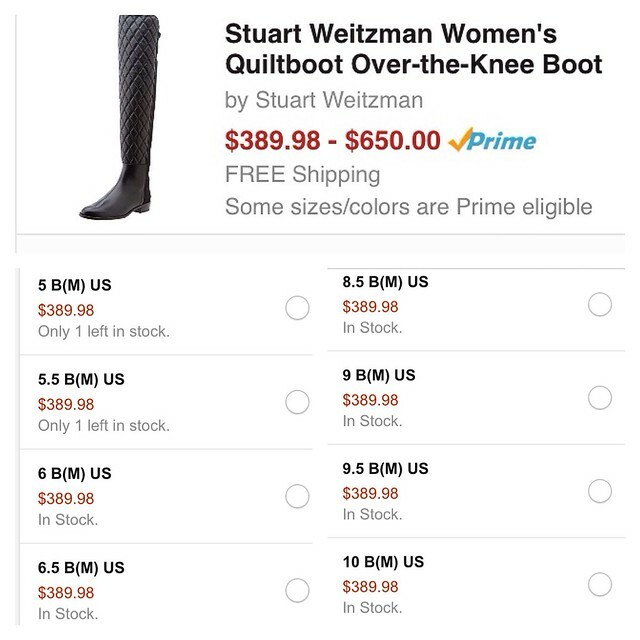 I just wanted to quickly share an amazing deal on these Stuart Weitzman Quiltboot. I tried them on a few weeks ago and fell in love. Mine should arrive tomorrow! It's still not cheap by any means but at 40% off, I truly think they are worth it. They are still full price ($650) on Zappos, Neiman Marcus and Saks. All sizes are available as we speak (plus free shipping and free returns). A few sizes left here as well.